People who say the history of Buffalo professional sports is a history of losing are forgetting about the Bandits. Buffalo’s premier lacrosse team is now in its 25th season and the franchise has notched four championships in its relatively brief run. 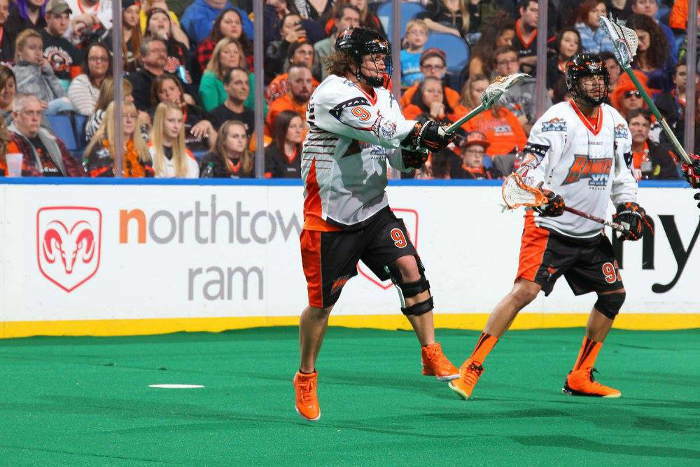 The Bandits are taking the occasion of their 25th season to both look back at the team’s history, and celebrate with their rabid fanbase, who routinely turn the First Niagara Center into a cauldron of orange, black and noise. As a sport, lacrosse has a cult following. That means you probably aren’t standing around the water cooler on Monday morning – talking about what went wrong or the amazing plays from the weekend. However, a cult following means the fans that do go to the game are passionate and full of energy. Like their summer cousins the Bisons, the Bandits offer some of the most affordable professional sports entertainment in town. The most expensive single-game ticket is $40, which is incredibly cheap if you like watching sports up-close and personal. However, the Bandits do an amazing job of putting on a rock concert atmosphere during home games and for those who just want to enjoy the FNC buzzing with energy, 300 Level tickets are as cheap as $21. Of course this is Buffalo, everything must include beer and snacks, and the Bandits are bringing back their Labatt Blue Light Pre-Game Party. A small admission fee ($17 in advance, $20 day-of) gets you hot dogs or hamburgers, chicken tenders, a nacho bar, pasta and a drink coupon valid for one Labatt beer or a soft drink inside the arena’s Lexus Club. Also similar to the Bisons, the Bandits have different theme nights for each home game. From recognizing those who serve our community to celebrating the Western New York Native American community, each theme night will feature special offers and discounts that you can find out about through the Bandits’ social media accounts (Facebook / Twitter / Instagram). These games are perfect for a night out with the whole family. Sadly, there aren’t many Canalside or Cobblestone District bars/restaurants offering food or drink specials before the game. So if you’re looking to fill up before the first faceoff, the Pre-Game Party at the arena is the best option. 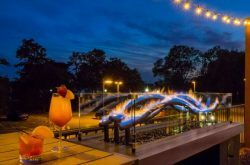 However, for people looking to keep the party going – 716 Food and Sport is offering $2 off a single order of wing and $2 off Bandit Breeze cocktails from 10pm until close. 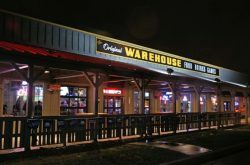 Of course, there are other great options like Lagerhaus 95, the Lockhouse tasting room, Ballyhoo, and Pearl Street. Like I need to tell you, Step Out Buffalo reader. 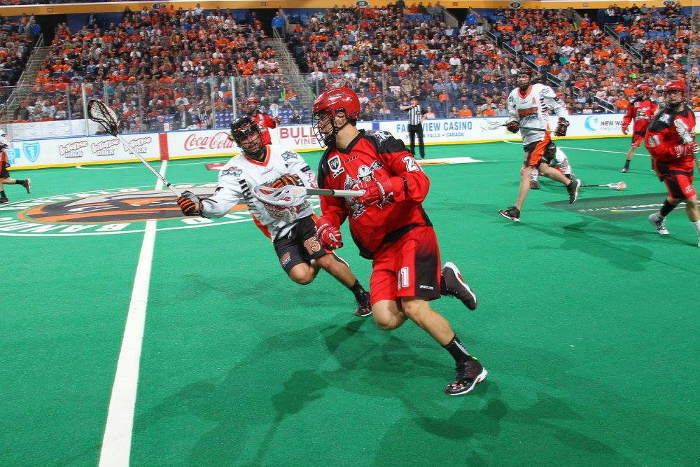 Jan. 23 vs. Toronto Rock – 7:30 p.m.
Feb. 6 vs. New England Black Wolves 7:30 p.m.
Feb. 20 vs. Georgia Swarm 7:30 p.m.
March 11 vs. Rochester Kinghthawks 7:30 p.m.
March 25 vs. Vancouver Stealth 7:30 p.m.
April 9 vs. Rochester Knighthawks 7:30 p.m.
April 30 vs. New England Black Wolves 7:30 p.m.